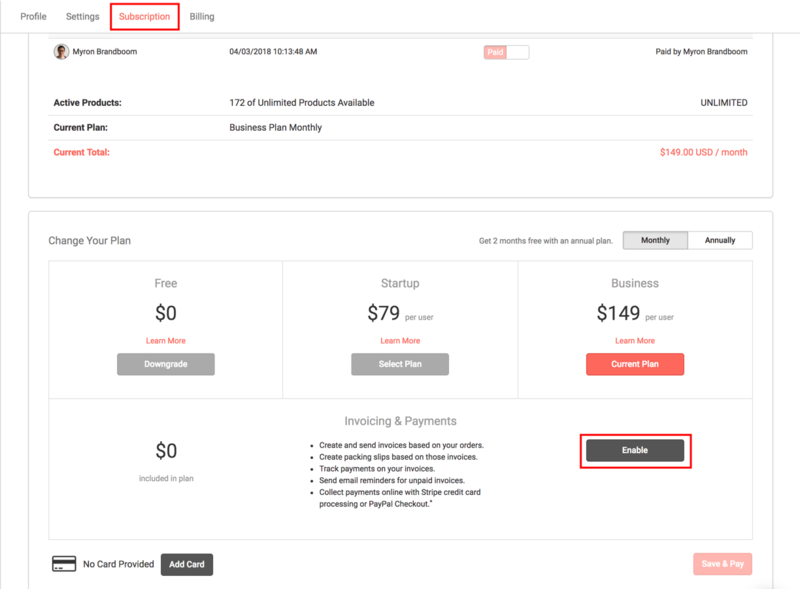 First, enable Invoicing on your Subscription page. If your Plan doesn't include it, you will need to upgrade to add it on. 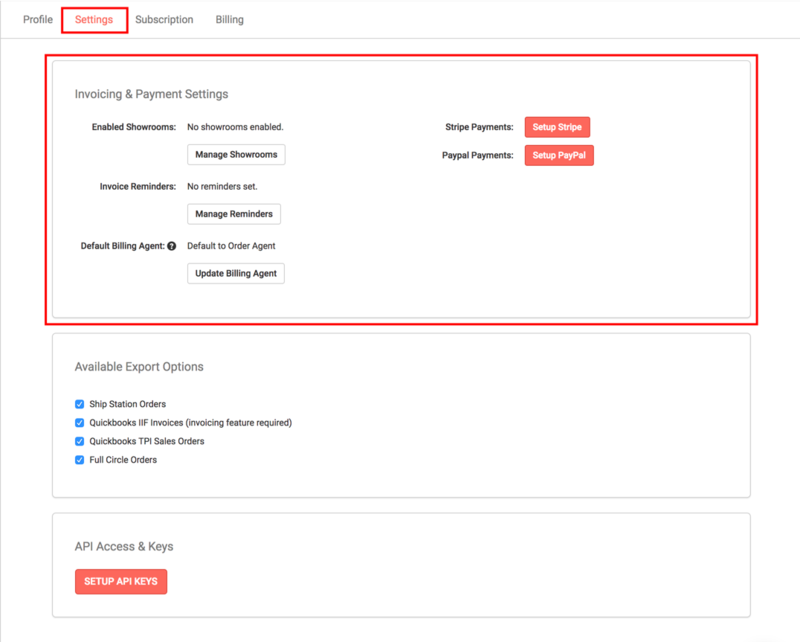 Click the Enable button, verify Account changes, and then click "Save & Pay." You should now see a prompt to go to your Settings page to continue the setup process. 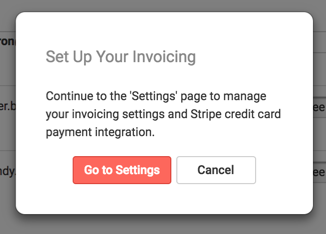 If you choose not to use Stripe or Paypal, you can still use the Invoicing feature to generate invoices, send them to your buyers, and log payment and shipment activity. However, connecting one of these accounts will allow you to do everything inside of Brandboom.